Stokely Carmichael was a Trinidadian-American civil rights activist known for leading the SNCC and the Black Panther Party in the 1960s. 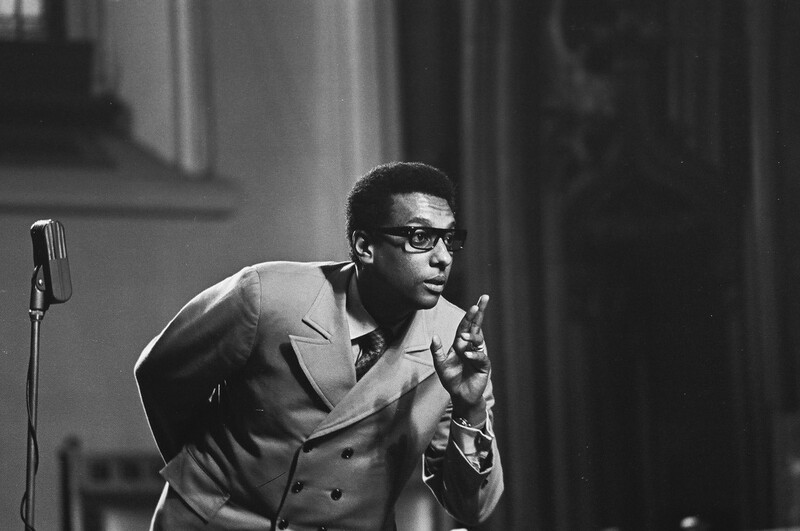 Stokely Carmichael was born in Port of Spain, Trinidad and Tobago, on June 29, 1941. He rose to prominence as a member and later the chairman of the SNCC, working with Martin Luther King Jr. and other Southern leaders to stage protests. Carmichael later lost faith in the tactic of nonviolence, promoting "Black Power" and allying himself with the militant Black Panther Party. Renaming himself Kwame Ture, he spent most of his later years in Guinea, where he died in 1998. Though he had been aware of the Civil Rights Movement for years, it was not until one night toward the end of high school, when he saw footage of a sit-in on television, that Carmichael felt compelled to join the struggle. "When I first heard about the Negroes sitting in at lunch counters down South," he later recalled, "I thought they were just a bunch of publicity hounds. But one night when I saw those young kids on TV, getting back up on the lunch counter stools after being knocked off them, sugar in their eyes, ketchup in their hair—well, something happened to me. Suddenly I was burning.&apos;&apos; He joined the Congress of Racial Equality (CORE), picketed a Woolworth&apos;s store in New York and traveled to sit-ins in Virginia and South Carolina. While a freshman at Howard University in 1961, Carmichael went on his first Freedom Ride—an integrated bus tour through the South to challenge the segregation of interstate travel. During that trip, he was arrested in Jackson, Mississippi for entering the "whites only" bus stop waiting room and jailed for 49 days. Undeterred, Carmichael remained actively involved in the Civil Rights Movement throughout his college years, participating in another Freedom Ride in Maryland, a demonstration in Georgia and a hospital workers&apos; strike in New York. Carmichael left school at a critical moment in the history of the Civil Rights Movement: The Student Nonviolent Coordinating Committee had dubbed the summer of 1964 "Freedom Summer," and rolled out an aggressive campaign to register black voters in the Deep South. With his eloquence, charisma and natural leadership skills, the newly minted college graduate was quickly appointed field organizer for Lowndes County, Alabama. When Carmichael arrived in Lowndes County in 1965, African Americans made up the majority of the population but remained entirely unrepresented in government. In one year, Carmichael managed to raise the number of registered black voters from 70 to 2,600—300 more than the number of registered white voters in the county. Unsatisfied with the response of either of the major political parties to his registration efforts, Carmichael founded his own party, the Lowndes County Freedom Organization. To satisfy a requirement that all political parties have an official logo, he chose a black panther, which later provided the inspiration for the Black Panthers. Early in his time with the SNCC, Carmichael adhered to the philosophy of nonviolent resistance espoused by Dr. Martin Luther King Jr. In addition to moral opposition to violence, proponents of nonviolent resistance believed that the strategy would win public support for civil rights by drawing a sharp contrast—captured on nightly television—between the peacefulness of the protesters and the brutality of the police and hecklers opposing them. However, as time went on, Carmichael—like many young activists—became frustrated with the slow pace of progress and with having to endure repeated acts of violence and humiliation at the hands of white police officers without recourse. By the time he was elected national chairman of the SNCC in May 1966, Carmichael had largely lost faith in the theory of nonviolent resistance that he had once held dear. As chairman, he turned the SNCC in a sharply radical direction, making it clear that white members were no longer welcome. In June 1966, after activist James Meredith was shot during his solitary "Walk Against Fear" from Memphis, Tennessee, to Jackson, Mississippi. Carmichael decided that SNCC volunteers should carry on the march in his place. Upon reaching Greenwood, Mississippi, the enraged leader gave the address for which he would be best remembered: "We been saying &apos;freedom&apos; for six years," he cried. 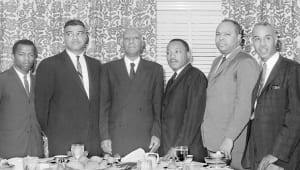 "What we are going to start saying now is &apos;Black Power.&apos;"
Black Power also represented Carmichael&apos;s break with King&apos;s doctrine of nonviolence and its end goal of racial integration. 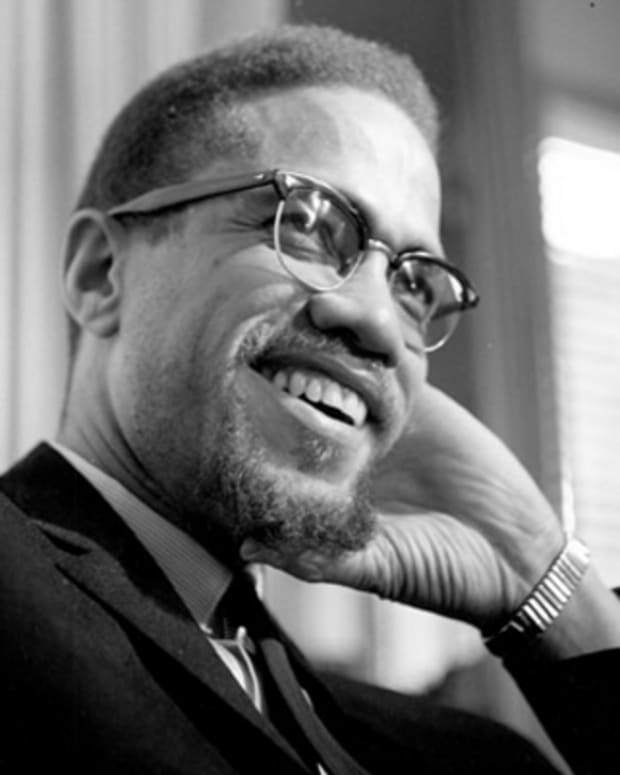 Instead, he associated the term with the doctrine of black separatism, articulated most prominently by Malcolm X. "When you talk of Black Power, you talk of building a movement that will smash everything Western civilization has created,&apos;&apos; Carmichael said in one speech. 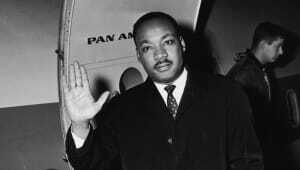 Unsurprisingly, the term proved controversial, evoking fear in many white Americans, even those previously sympathetic to the Civil Rights Movement, and exacerbating fissures within the movement itself between older proponents of nonviolence and younger advocates of separatism. 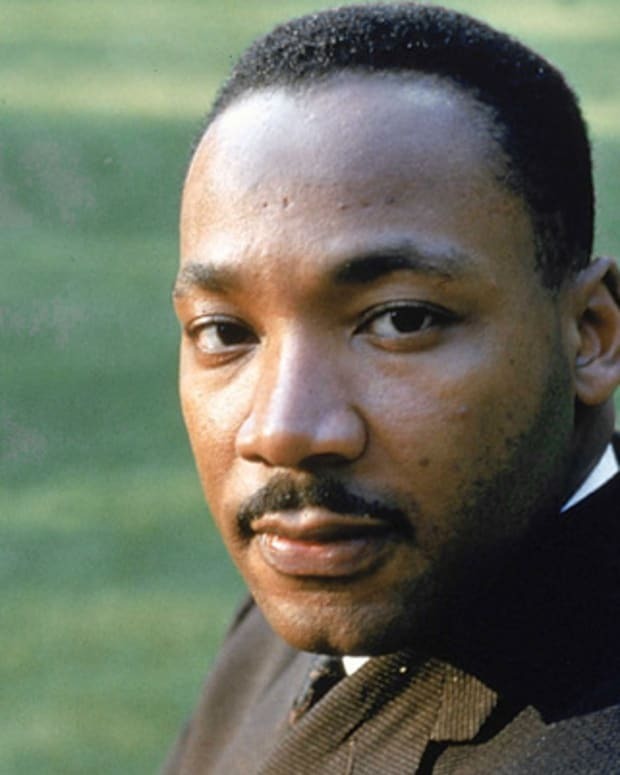 Martin Luther King called black power "an unfortunate choice of words." In 1967, Carmichael took a transformative journey, traveling outside the United States to visit with revolutionary leaders in Cuba, North Vietnam, China and Guinea. Upon his return to the United States, he left the SNCC and became prime minister of the more radical Black Panthers. 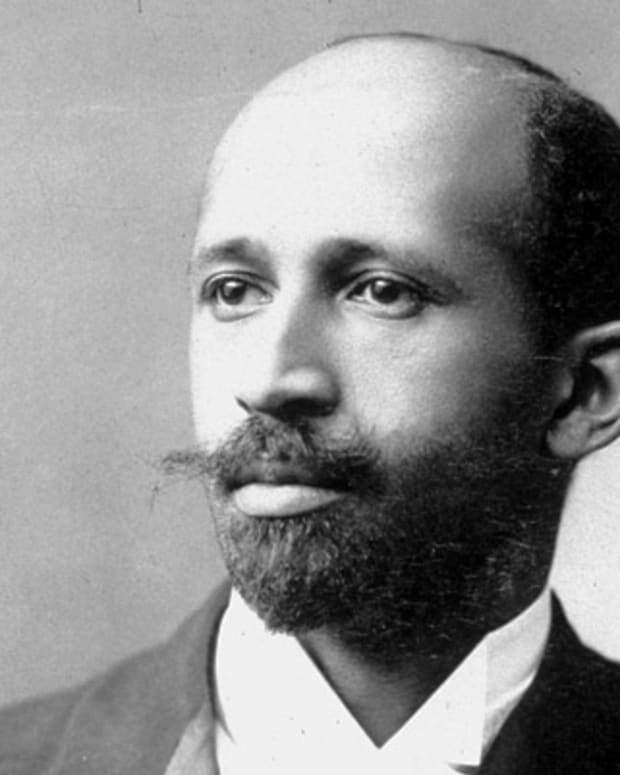 He spent the next two years speaking around the country and writing essays on black nationalism, black separatism and, increasingly, pan-Africanism, which ultimately became Carmichael&apos;s life cause. 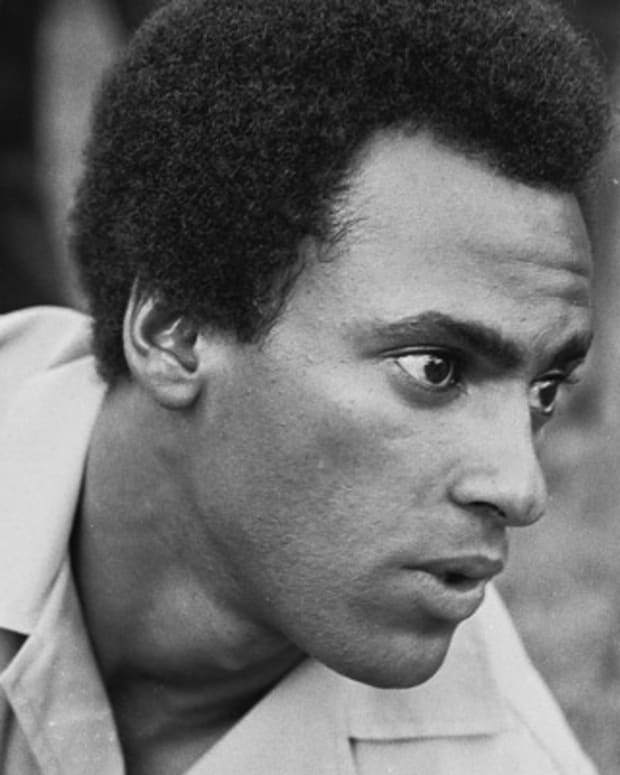 Stokely Carmichael was born on June 29, 1941, in Port of Spain, Trinidad and Tobago. Carmichael&apos;s parents immigrated to New York when he was a toddler, leaving him in the care of his grandmother until the age of 11, when he followed his parents to the United States. His mother, Mabel, was a stewardess for a steamship line, and his father, Adolphus, worked as a carpenter by day and a taxi driver by night. An industrious and optimistic immigrant, Adolphus Carmichael chased a version of the American Dream that his son would later criticize as an instrument of racist economic oppression. "My old man believed in this work-and-overcome stuff," recalled Carmichael. "He was religious, never lied, never cheated or stole. He did carpentry all day and drove taxis all night. ... The next thing that came to that poor black man was death—from working too hard. And he was only in his 40s." 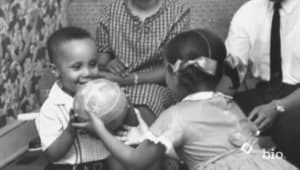 In 1954, at the age of 13, Stokely Carmichael became a naturalized American citizen and his family moved to a predominantly Italian and Jewish neighborhood in the Bronx called Morris Park. Soon Carmichael became the only black member of a street gang called the Morris Park Dukes. In 1956, Carmichael passed the admissions test to get into the prestigious Bronx High School of Science, where he was introduced to an entirely different social set—the children of New York City&apos;s rich white liberal elite. A stellar student, Carmichael received scholarship offers to a variety of prestigious predominantly white universities after graduating high school in 1960. He chose instead to attend the historically black Howard University in Washington, D.C. There he majored in philosophy, studying the works of Camus, Sartre and Santayana and considering ways to apply their theoretical frameworks to the issues facing the Civil Rights Movement. He graduated from Howard University with honors in 1964. In 1969, Carmichael quit the Black Panthers and left the United States to take up permanent residence in Conakry, Guinea. 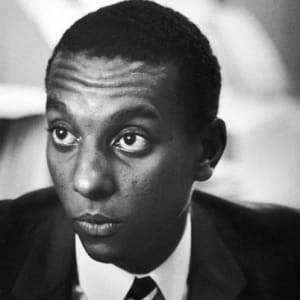 Changing his name to Kwame Ture to honor both the president of Ghana, Kwame Nkrumah, and the president of Guinea, Sékou Touré, he dedicated his life to the cause of pan-African unity. 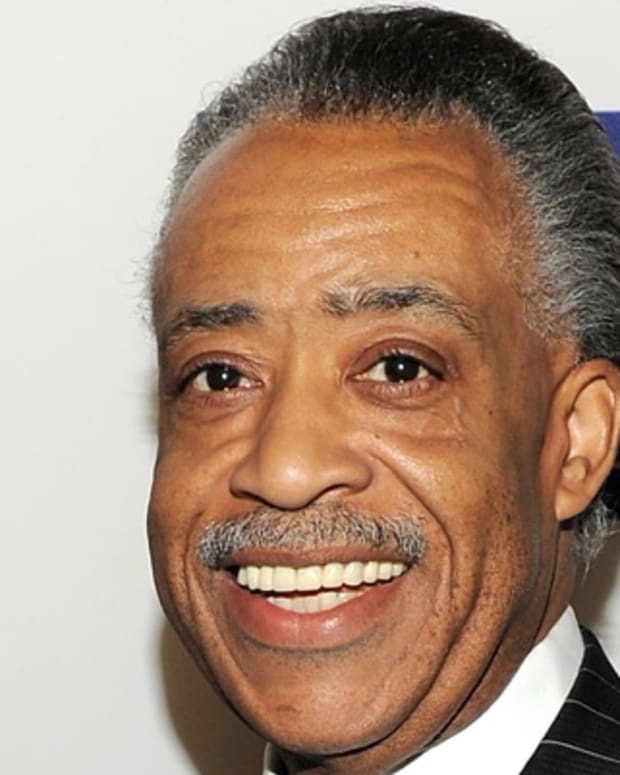 "America does not belong to the blacks," he said, explaining his departure from the country. Carmichael was married twice during this time, first to South African singer Miriam Makeba, and then to a Guinean doctor named Marlyatou Barry. 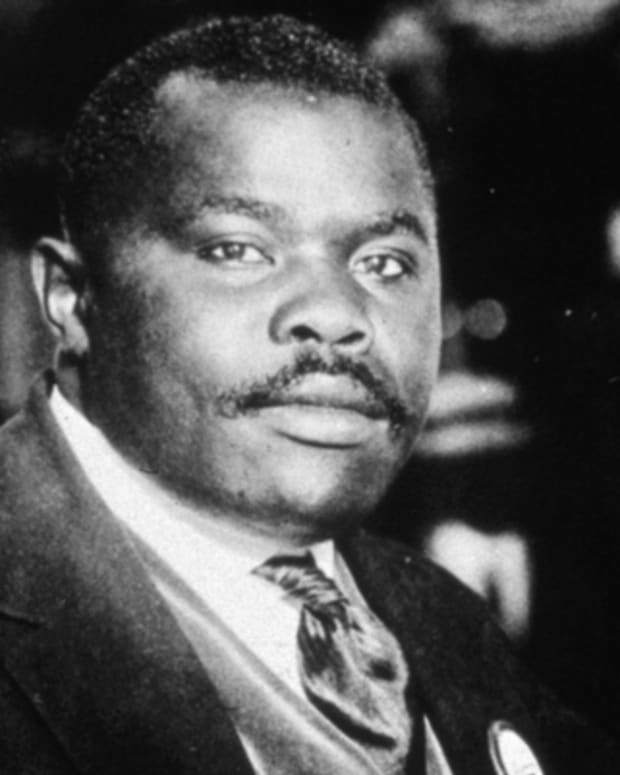 Although he made frequent trips back to the United States to advocate pan-Africanism as the only true path to liberation for black people worldwide, Carmichael maintained permanent residence in Guinea for the rest of his life. Carmichael was diagnosed with prostate cancer in 1985, and although it is unclear precisely what he meant, he said publicly that his cancer "was given to me by forces of American imperialism and others who conspired with them.&apos;&apos; He died on November 15, 1998, at the age of 57. An inspired orator, persuasive essayist, effective organizer and expansive thinker, Carmichael stands out as one of the preeminent figures of the American Civil Rights Movement. His tireless spirit and radical outlook are perhaps best captured by the greeting with which he answered his telephone until his dying day: "Ready for the revolution!" 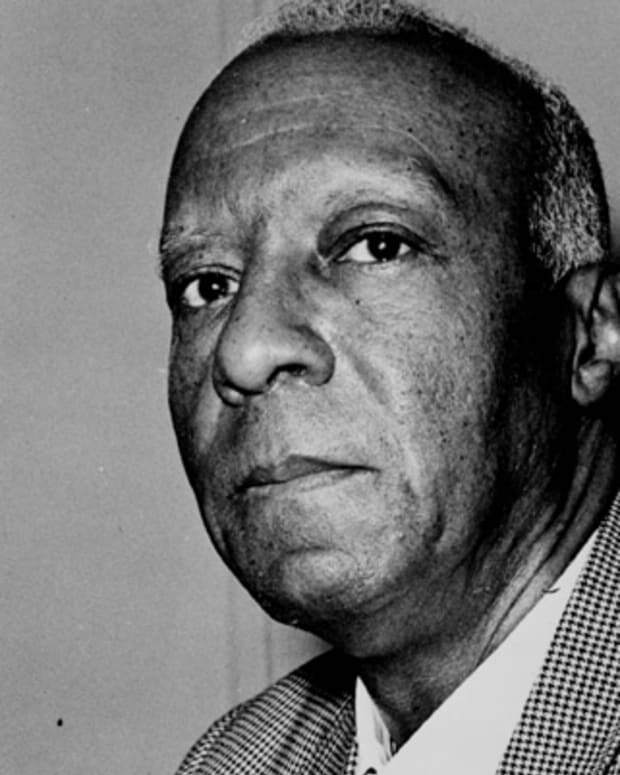 A. Philip Randolph was a trailblazing leader, organizer and social activist who championed equitable labor rights for African-American communities during the 20th century. 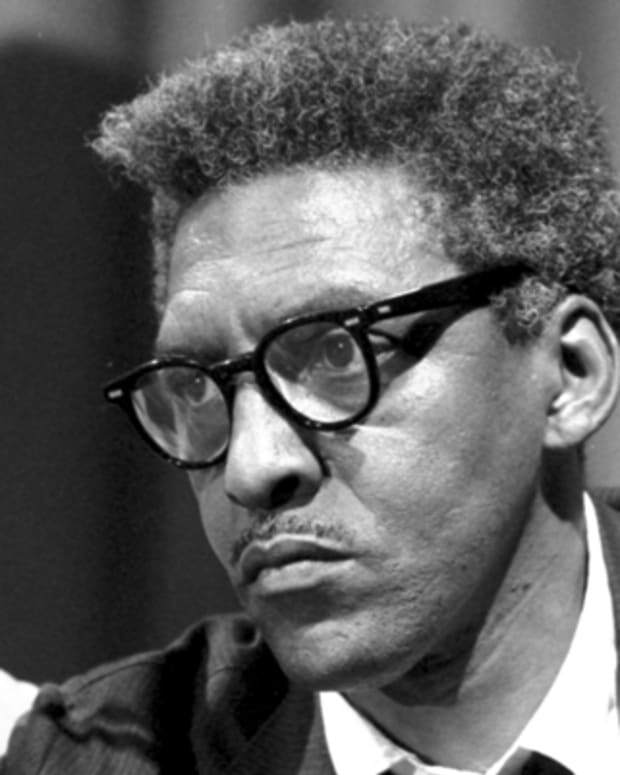 Bayard Rustin was a civil rights organizer and activist, best known for his work as adviser to Martin Luther King Jr. in the 1950s and '60s. 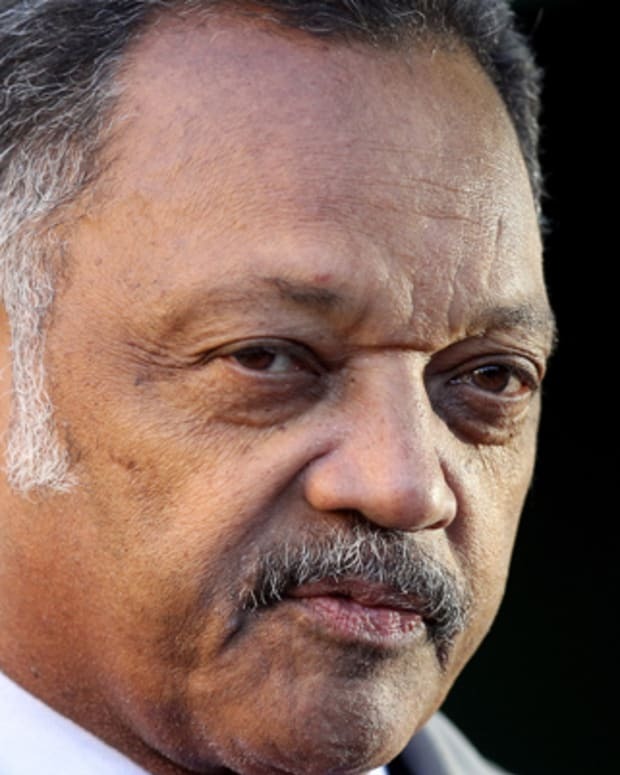 Jesse Jackson is an American civil rights leader, Baptist minister and politician who twice ran for U.S. president.